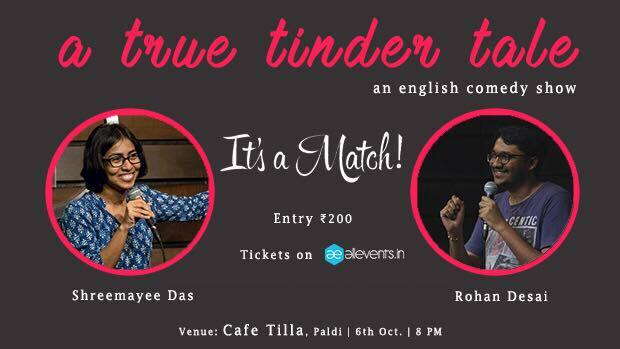 A True Tinder Tale” is the 95% true story of how two people, Shreemayee Das & Rohan Desai, met on tinder and fell in love. Through the one hour, they take you through their experiences of matching on tinder, their first date, falling in love, along with their anxieties and their families’ reactions to it. This show offers a new and unique experience that is feel good yet relatable, truthful yet funny and honest yet offering two perspectives at the same time.